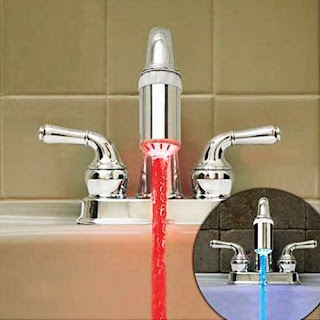 What do you think of this LED Faucet Nozzle? Ever wanted cool colored water coming out of your sink? Displays a series color of lights: Red Light = Hot Water; Blue Light = Cold Water. Warns your family and prevent from scalding their hands. BONUS QUESTION! Who has the best price? Today it is definitely the US Amazon site at 75% off!